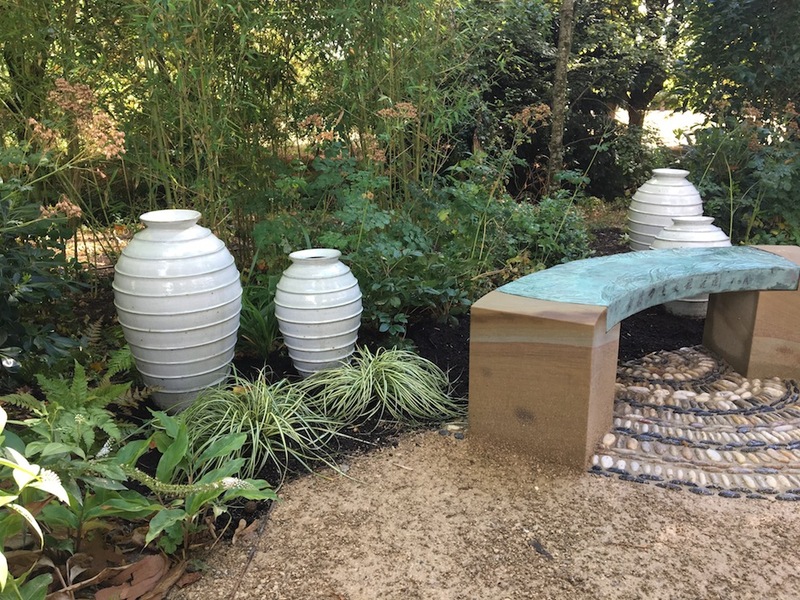 In 2017 I was asked to submit a proposal to make pots for a new garden being designed for Kings College Cambridge, as a tribute to Xu Zhimo, who has a reputation as one of the greatest poets of modern China. He spent almost two years at Kings and his time there influences him greatly. 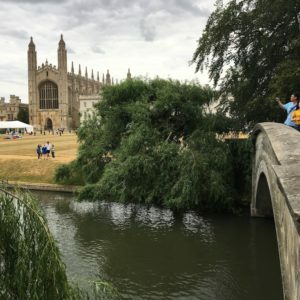 The 'golden willow on the riverbank' in his open 'Leaving Cambridge Again', is still there next to the footbridge over the Cam. 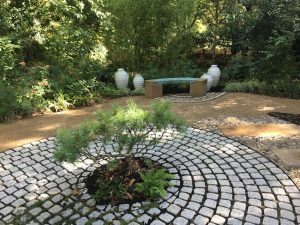 The garden was to be a Chinese garden in Cambridge, with a combination of the two different cultures in the design and the choice of plants. 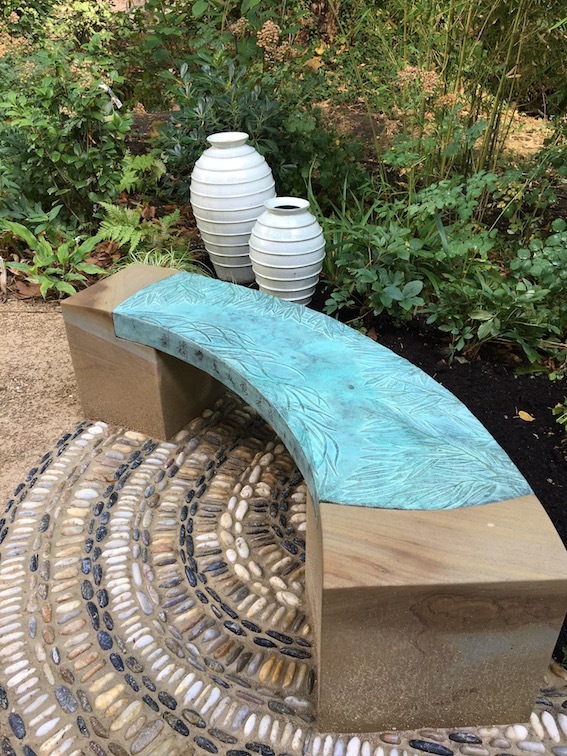 Edinburgh based sculptor Tim Chalk would be making a bench for quiet contemplation and designing a pathway through the garden with the poem 'Second Farewell To Cambridge' carved into stone and in relief in English and Chinese respectively. Sadly the willow in the poem, on the other side of the river from the garden, is diseased and has had to be cut down. 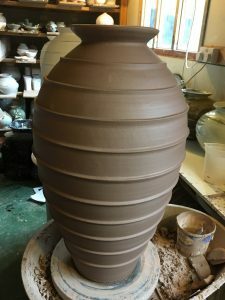 I decided to take the wood from the tree, burn it, and use the ash to make the glazes for the pots for the garden, so that the tree would live on in spirit. 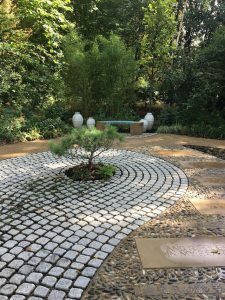 A Chinese garden in Kings college,Cambridge, like the visits of Xu Zhimo, represents a meeting of East and West. China and Britain. 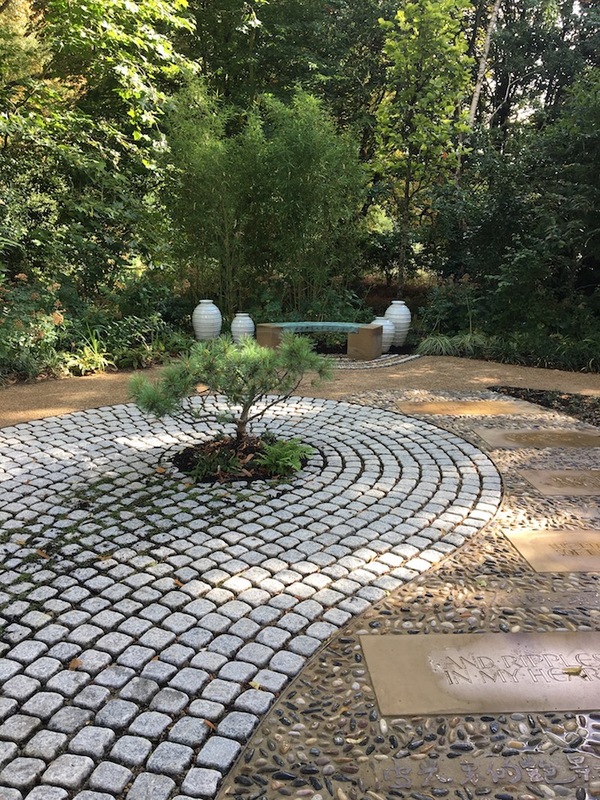 The garden itself, situated on the banks of the Cam, overlooking the same ‘golden willow’ that Xu wrote about in his poem ‘Leaving Cambridge Again’, is designed to reflect that meeting. The pots themselves are made on the potters wheel from an English marl based clay, dark with iron. This is a clay type that has been used by potters in England for centuries. 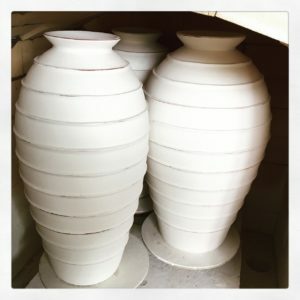 The surface is coated in layers of porcelain slip, a pure white clay body originating from China, giving a brightness and luminescence to the glaze, though the deep colour from the English clay can clearly be seen bleeding through the porcelain to interact with the glaze. The forms are a variation on a single jar shape that is a combination of traditional Chinese and English pots. 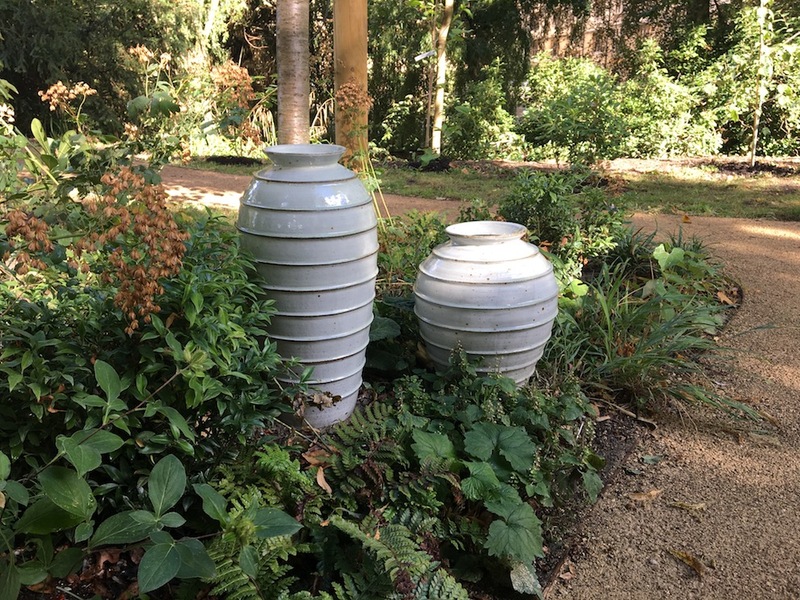 It is a simple, organic form, designed to sit amongst, and reflect the foliage of the garden, blending in with it to be part of the garden, rather than standing out. 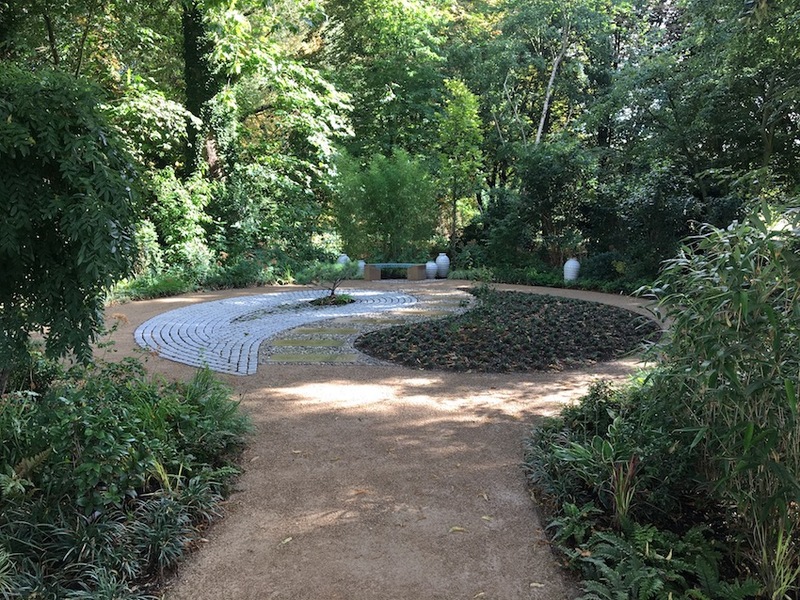 The forms are ribbed with concentric bands, representing the ripples on the surface of the adjacent river. 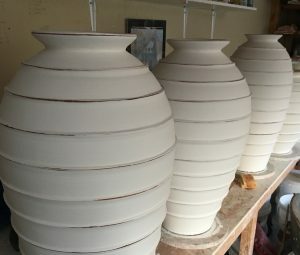 The glaze is based on wood ash from the willow itself. I took the pruned branches from the tree, burnt the wood and collected the ash. 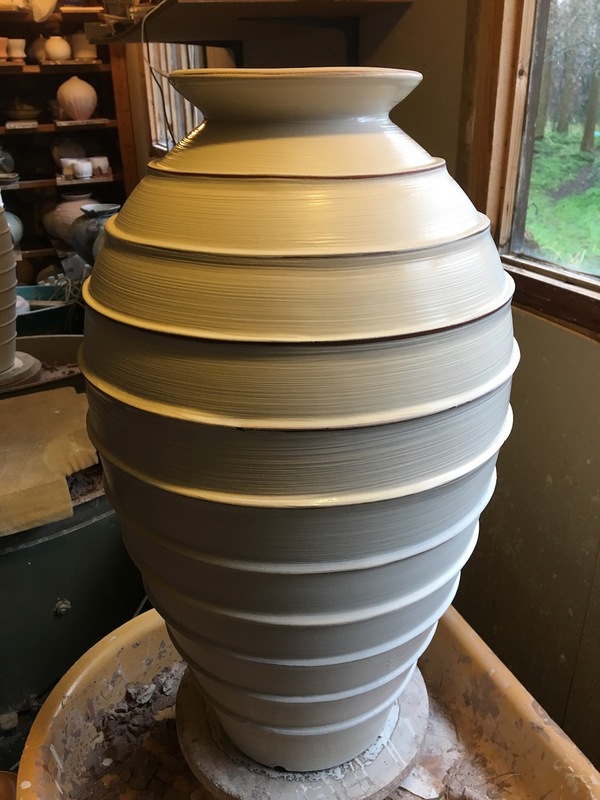 This was blended with other materials to make the glaze, the ash forming over 40% of the total ingredients. 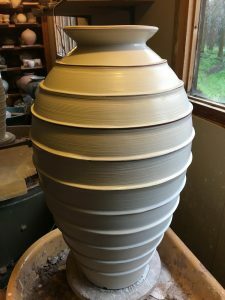 The semi-gloss texture and the watery green colour of the glaze comes from the minerals in the ash, and so, of the tree itself. The duality of the yin-yang design within the garden is referenced in the pots, with the porcelain white exteriors and the black glazed interiors. I chose to make a group of seven pots to be ‘planted’ within the garden as there are seven verses in the poem ‘Leaving Cambridge Again’. It is a number that is considered lucky both in the West and in China, though in China it has a lucky/unlucky duality that I think fits. In Cantonese the word for 7 sounds like the verb “to leave”.